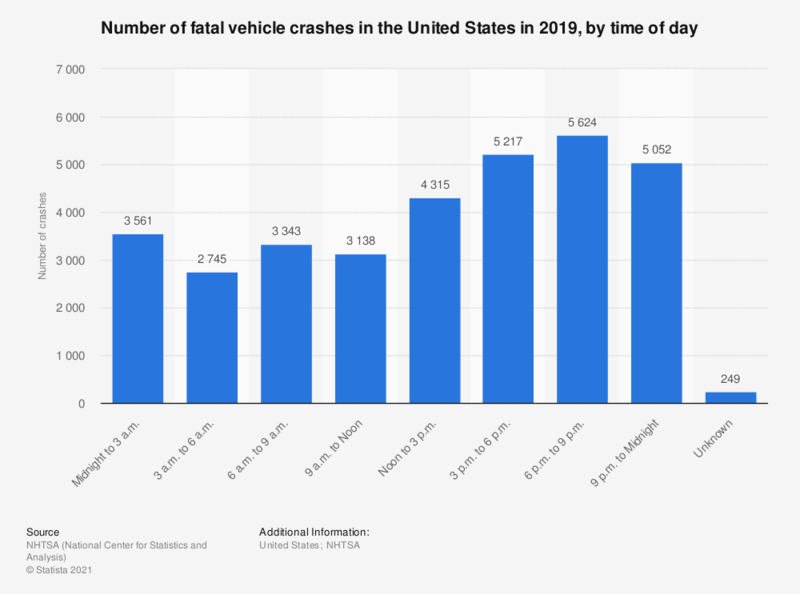 The statistic shows the number of U.S. fatal vehicle crashes by time of day in 2016. In that year, some 3,000 crashes occurred from 9 a.m. to noon in the United States. Motor vehicle crashes are the leading cause of death among those under the age of 55 in the United States. * Fatal and injury crashes and property damages.